TSD Advance Inventory Plus POS is a beautifully designed, responsive Point Of Sale (POS) system that makes it fast & easy to sell your Product/Service to your customers, and keep them coming back to your store. 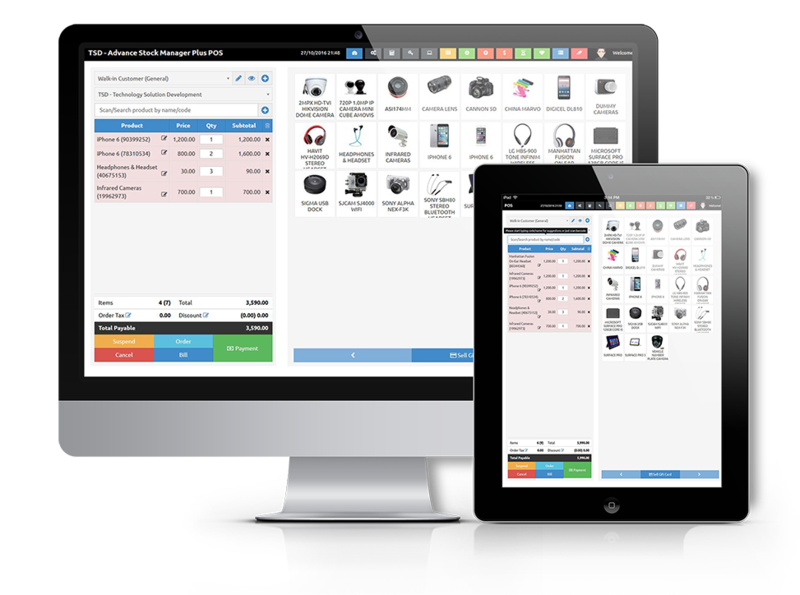 It works on any device screen resolution, works online and offline, and connects to all the latest hardware – barcode scanners, receipt printers, cash drawers. Take control of your inventory. With TSD Advance Inventory Plus POS, you’ll look forward to managing your catalog. Easily add cost and retail prices, tags, discounts, and perform bulk operations like import & export. Group products by color or size, organize into bundles, or split into units. Scan existing barcodes, or print new ones to speed up checkout. TSD Advance Inventory Plus POS’s point of sale system takes the pain out of managing stock, whether you have one store or hundreds. Because it is cloud-based software, you and your staff can instantly see which items are in stock, everywhere, in real time. The advent of cloud-based POS systems means your back office operations can now be accessible from any web browser, even if you’re halfway around the world on vacation. 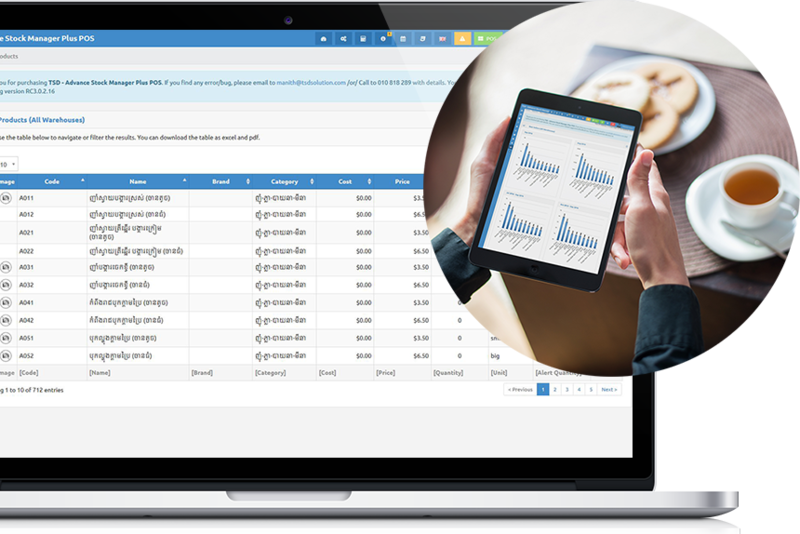 Additionally, the most convenient POS systems that allow business owners to see real-time sales data in the palm of their hand. 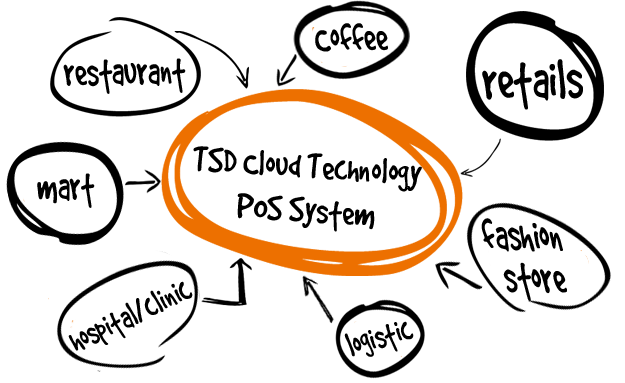 "Our stock system is running smooth and accurate. We are really pleased with its clean platform and abundant functions. We highly recommend TSD if you want an impressive stock system." Retail is demanding, TSD Advance Inventory Plus POS Reporting System helps you stay ahead of the competition by giving you an accurate view of sales and product performance, which you can access at any time with insightful reporting tools into product, customer, inventory and staff performance, and quickly identify trends and areas to improve. Build your retail empire from your armchair, by adding new stores and registers at the click of a button. Train your staff in minutes, and keep them motivated with daily, weekly and monthly targets. Then relax, knowing that your data is always safe, secure, and available when you need it.